5 steps to improve your squat. The squat is considered a staple compound movement in any strength and conditioning program. It builds strength in your posture, puts your testosterone through the roof - increasing you strength and size and most importantly it gets you from having a bum to a booty. Unfortunately it is an exercise that is often not performed correctly and can lead to injuries. Pain aside, this blogs purpose is to help you get better at your squat. Below are my five top tips to improving your squat. Do you experience low back or pain tightness post a workout. Stretching your back may not be the solution. Most likely your low back is doing too much work hence why it is tight/painful. Make it happy by releasing nearby structures. Good area to start is hip region, i.e. your glutes. #2. If you have a forward tilt (like the leaning tower of Pisa) work your pelvic floor – pilates is your friend. Get a weighted plate with arms extended and do a squat. If you now stay upright most likely it is a control issue. I would recommend doing one on one pilates or with someone that knows how to activate pelvic floor. It is a little more complicated than just holding your pee. What is your breathing like during your squat? Do you hyperventilate? Do you breathe from your shoulders? Not using your diaphragm properly whilst squatting can rob you of at least 30% off your max lift. Concentrate on your stomach as a balloon and consciously imagine you filling that balloon with air without raising your shoulders. You can practice this exercise whilst laying in bed. Be patient it takes time to get used to the movement. However the rewards are well worth it. Lifting your toes causes less activation of your posterior chain (calves, hamstring and glute muscles). Less activation means less power, which means loss of performance. Also it puts your centre of mass of skew. Not good long term for your hip and low back. Do one of your knees buckle in or out whilst squatting. Instead of trying to pull them back in line use a band to place the tension in the direction of the faulty movement NOT away. This kicks of a lovely neurological response to get your body to fire the proper muscle to fix up that alignment. Do not perform this if squatting causes pain with your shift. There could be more going on and you can actually make matters worse. So here you have it. 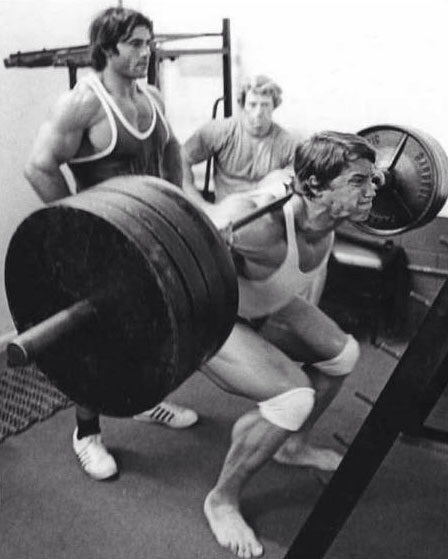 Our top 5 tips to get you squatting like an athlete and performing at your best. Do you want to improve your squat? Kinetic Healthcare specialises in movement screens to pin point exactly where your issue lies. We also host a series of squat workshops across Sydney gyms. Contact the clinic on (02) 9262 6473 to find out more and how to come along to the next one.